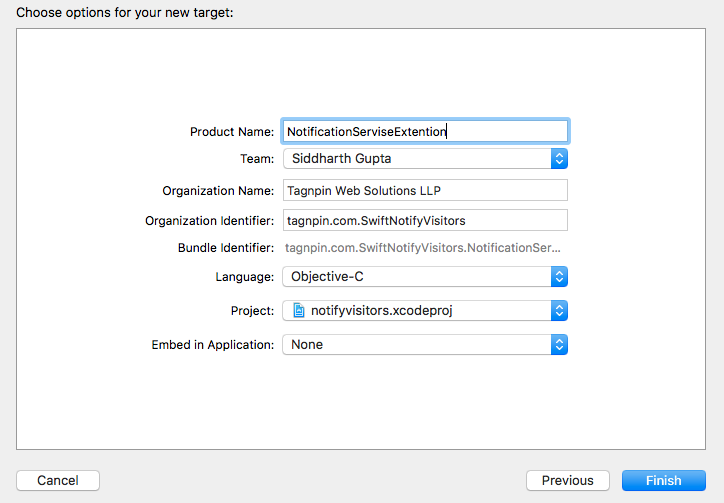 In Xcode, select File >> New >> Target and choose the Notification Service Extension template. Once the target is created, Activate the scheme for Extension when prompted for the same. 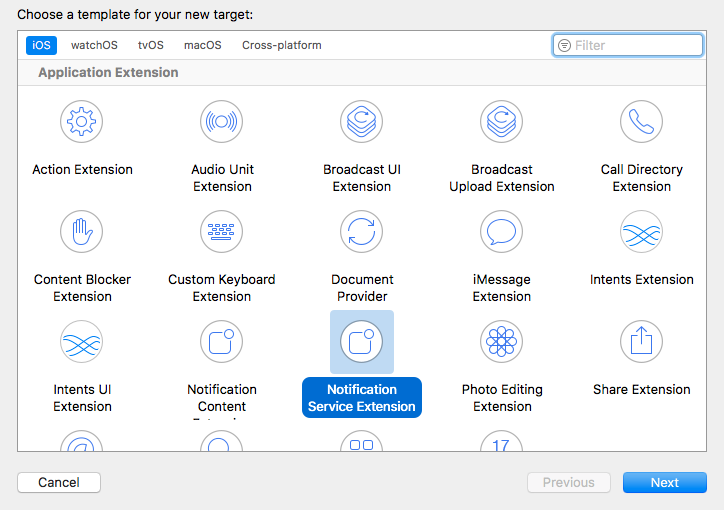 After this your extension will be added to project you will see a class with the extension name provided by you while creation and .plist file associated with it. Right Click on Info.plist and click on Open as >> Source code.Add the following code in it. Add a new row by going to the menu and clicking Editor > Add Item. Set a key App Bundle identifier as a String and set its value to your app’s Bundle Identifier. 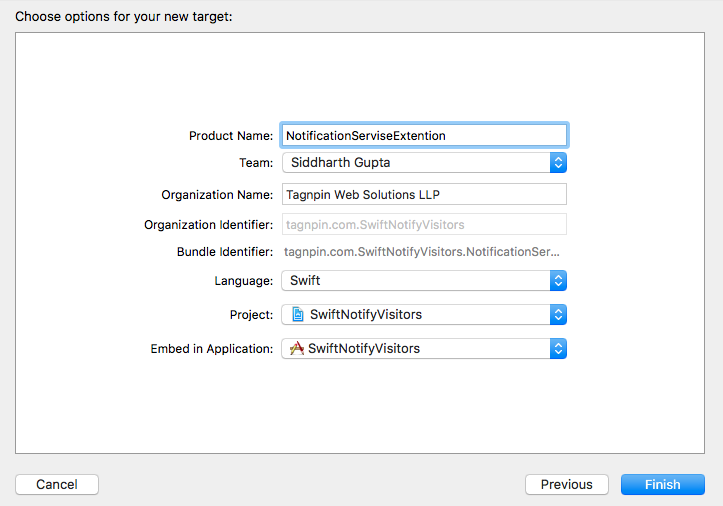 Goto Build Phase tab of your Notification Service Extension target and click on “+” sign under Link Binary With Libraries. Then, click on “Add Other…” from promoted box and add the reference of our sdk .a file from your apps project folder (Don’t give reference of .a file from outside of your project). In the Capabilities Tab Turn On App Groups and select the app group created previously in the beginning. Example: we have previously created a app group named group.nv.com.example.myapp make sure this app group must be visible here and make it checked (Turned on).